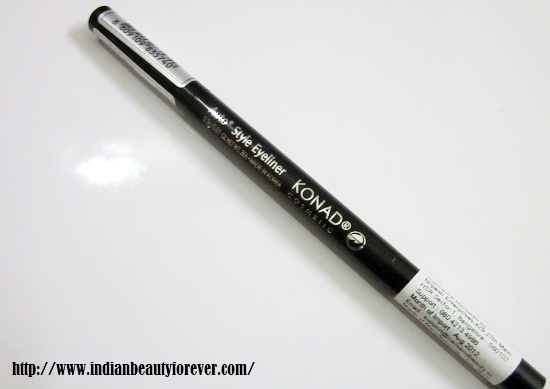 Time for an eyeliner review which is Konad auto style eyeliner that I have for the past 4 months approx but could not review as I misplaced it and later on found it in some other room where I might have kept and forgot about it.:D. If you will look at it you will realize that it’s actually quite an interesting product. 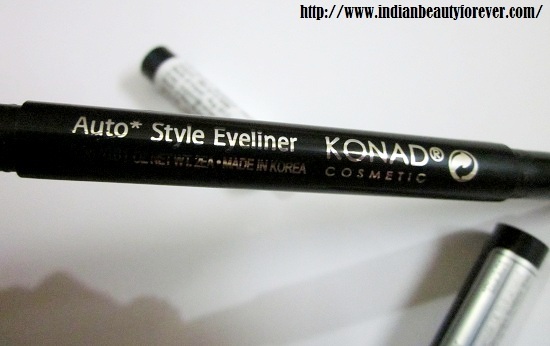 Price: This eyeliner from Konad comes at 175 INR. I saw it at many online shopping sites. You can check HERE. About the Product: Konad Iloje Flobu Auto Style Eyeliner - An auto eyeliner pencil that creates a clean, defined line that lasts all day without smudging. 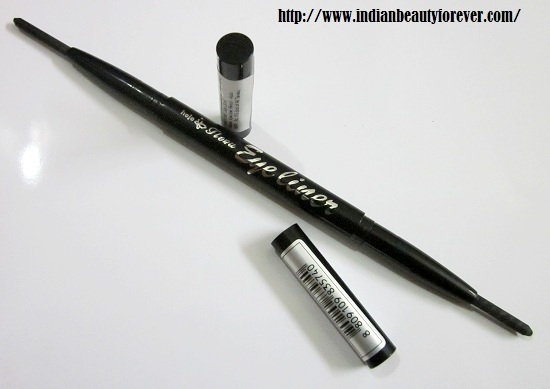 It is a twist-up style eyeliner and doesn’t need to be sharpened. 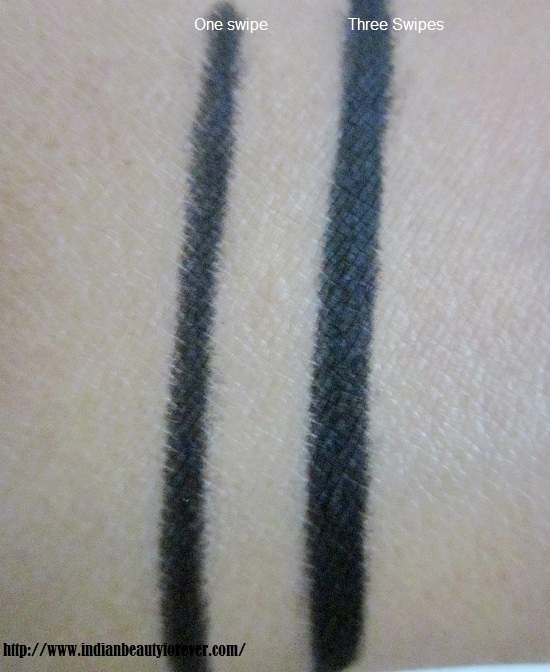 Experience: This Konad eyeliner come in a retractable packaging at the opposite ends. The outer casing is black with silver letters prints. The eyeliner lid is around 1 inch long each. I was just wondering what was the point in giving two ends since they both are similar. I mean they do not have a thick lid on one end and thinner for more precision at the other. Or anything like that. They are just the same!! Probably, just to make it look more interesting I suppose. Anyways, the packaging make it looks like a pen with a small inch long cap. It is indeed good to look at. Nice packaging. It has a great pigmentation I would say but when you use it on your lids then you may have to tug or pull them that means the formula of the product is not as creamy as an eyeliner should be so as not to tug or pull your delicate eye areas. I have used it twice like a kajal on my lower waterline and it smudged, just like most of the other kohls do but there was no irritation and it was safe so far. I think I will use it as a kohl or for that soft smudged eyeliner look. Available online, I have seen it online only till now. Tugging on the eyes as the formula is not creamy enough. Take: Average product. 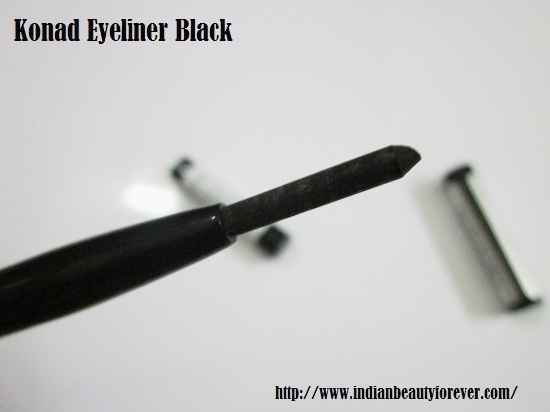 It is not a bad product but I will not recommend it as at this price you can go for some other eyeliner from other brands. Thats true, it isn't that creamy due to which it tugs and pulls. Liquids can have the best jet black pigmentation. Now a days, pencils and gels have taken over them but I still love liquids. nice review neisha....i purchased this from urban touch few months back and was so diappointed with this because of smudging. Thank you sophia, you are right. Colossal is the best, though never purchased but lot of my friends have that so used it a 2-3 of times. quite black.but not as expected............ nice swatches dear ! I've been using Giordani Gold Liquid Eye Liner and it's really amazing. 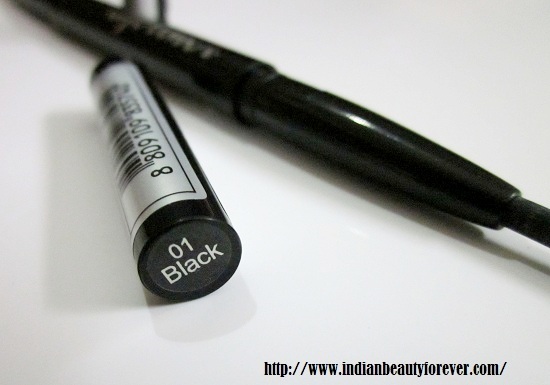 For a eyeliner, the only thing I want is it should be smudge-free and this one product is really what I needed. 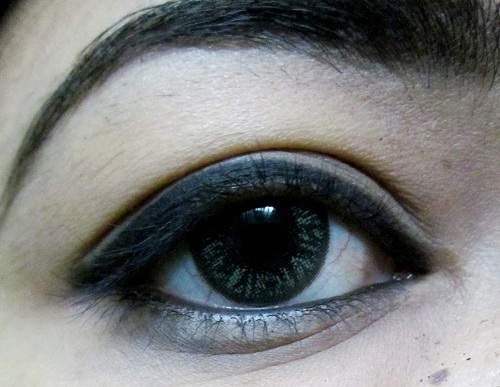 Even i want my eyeliners to be smudge-free and I like Faces eye pencils a lot for that. Thank you Megha. :) Its an average product though! Nice review.I have a weakness for creamy eye pencils and keep buying them often. Same here however, i wish it could have been creamy enough. Two ended :D interesting as i always end up breaking these retractable pencils -.- it does seem quite black but really pencils are not as black as liquid liners. That's where they get beaten.